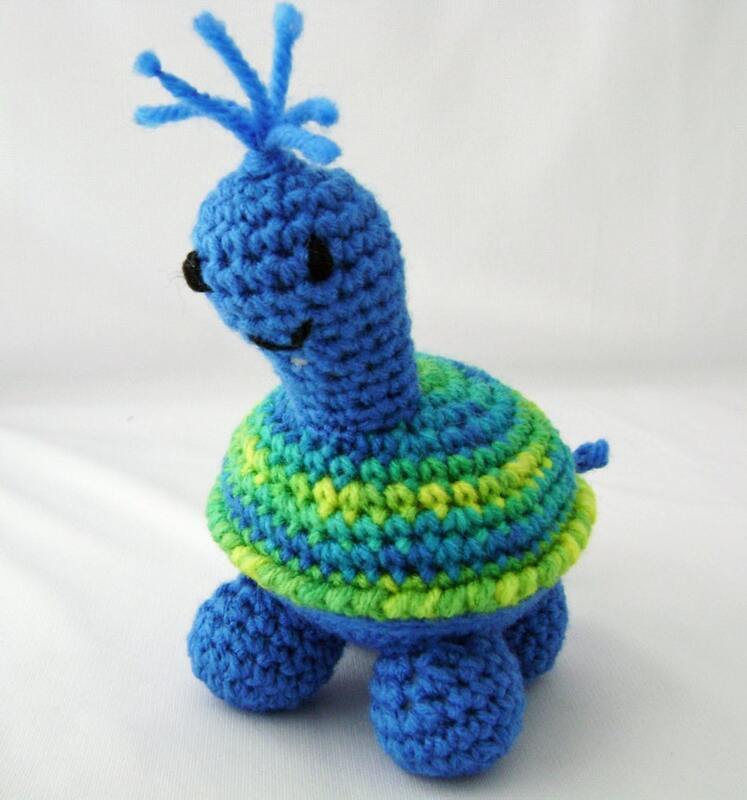 This bright blue turtle has a contrasting shell in shades of blue, green, yellow and turquoise. He is hand crocheted with acrylic yarn, and stuffed with polyester fiberfil, making him easy to clean. His features are hand embroidered, so there are no small parts that can pulled off. I haven’t named this turtle as I usually do because I thought his new owner would like that privilege. He is a perfect for a child of any age, including us adults who are still children at heart. I crochet this turtle in a smoke free, dog loving home, using a pattern designed by Sue of HappyWhosits. Dimensions: 6.5 inches (16.5 cm) tall by 5 inches (12.7) wide. Shipping: USPS first class with delivery confirmation where available. Other custom colors are available if you would like to place an order. Just contact me via Etsy convo or email to daffodilcornernc [!at] hotmail.com.